Here it is 2013 and we’re still talking about equality. It’s no secret that women are still heavily outnumbered in the technology industry – especially in development positions. In Part 1, “Women in Technology – Balancing Out the Pool,” we discussed the ongoing problem of finding women to fill roles in the ever-growing industry and the issues women in the technology workforce face. But, to avoid sounding like a broken record, let’s move on from the problem and shed light on some solutions. Since the advent of social media, thousands of jobs in a previously male-dominated technology industry have become available to anyone with experience. Social media has this inspiring force that breaks down communication barriers across the globe, and like water – it penetrates past gender stereotypes in search of equality and cohesion. We believe that this mentality has trickled down into the foundation of social businesses. Compared to old guard technology businesses, relatively young, social media centric tech businesses have a more approachable front door for women pursuing careers in the industry (take it from experience). Companies like Apple, Facebook, Twitter, Google, Yahoo, Adobe and HootSuite promote themselves as forward-thinking, safe and fun environments that seem to stifle the stigma that only men can code and work in tech. But while they (and well-established tech businesses) outwardly promote equality and search for diversification, and social media helps open the doors to opportunity, how do we get more women to pursue those careers? Having this many women work at HootSuite inspires other women to follow in our footsteps confidently. Photo taken on International Women’s Day at HootSuite headquarters. Perhaps we should rewind. Way back to elementary and high school. Back when Computer Science seemed like a boys club for coders. Erase those old fashioned stereotypes, create a safe learning environment and take the <style> right out of coding. Anyone can code. Say that again. 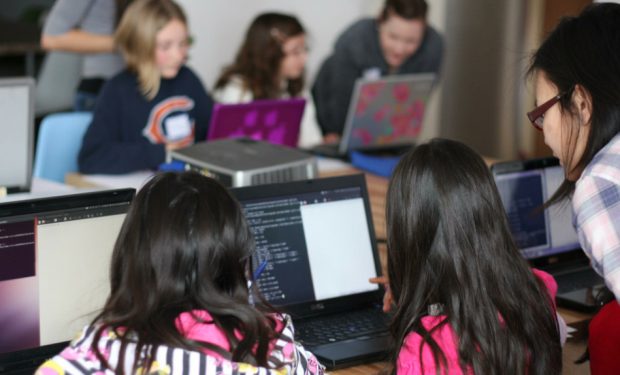 For youth, there are several programs that teach girls how to code in a safe environment. Emma Nemtin, Hubba’s Marketing Director, works closely with one of these programs, Ladies Learning Code. In this interview, discover how safe and women-friendly programs like this, empower girls to follow with confidence in the technology footsteps of their female teachers, leaders and mentors. 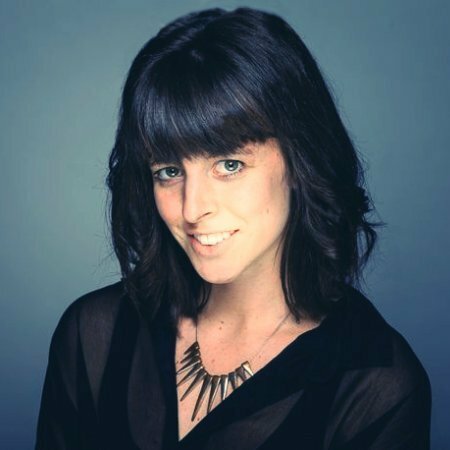 Sam Milbrath, HootSuite: What does Ladies Learning Code aim to do? Emma Nemtin, Ladies Learning Code: Ladies Learning Code is a Toronto-based not-for-profit organization that runs workshops for women (and men) who want to learn computer programming and other technical skills in a social and collaborative way. With chapters in Vancouver and Ottawa, which will soon be joined by Halifax and London, a thriving girls’ program and a permanent workshop space in Toronto, Ladies Learning Code has introduced over 4000 people to programming and technical skills. SM: What do you do at Ladies Learning Code? EN: I work for Hubba who is a proud sponsor and supporter of Ladies Learning Code. Hubba was the title sponsor for Ladies Learning Code when it was in its startup phase so through that I become involved with them, taking HTML/CSS and design courses and becoming a youth mentor for Girls Learning Code. Girls Learning Code is currently based in Toronto and holds tech camps, workshops and events for girls who want to use technology to change the world. SM: Do the young girls ever talk about why there are more boys in the field? EN: The girls are unlikely to hear us speak about the tech industry’s inequality and we downplay it them. We figure that if the girls aren’t aware of the imbalance, we don’t want to be the ones to tell them. We want to be the ones showing them that technology is awesome, and get them hooked because if we can do that, nothing else matters. Of course, many of the girls are extremely aware of the imbalance. Many of them actually bring it up, and then we’ll have conversations about it. Many of the girls tell us that they find the all-girls environment of Girls Learning Code less intimidating than their co-ed computer classes. By giving the girls a great learning experience, putting them in a room with dozens of other girls who also think technology is cool, giving them access to mentors and role models, and then showing them examples of what it can mean to work in tech – we’re doing everything we can to ensure that these girls grow up knowing that they have a choice, and if they want it to be, tech can be exactly where they belong. SM: Why do you think technology is a male-dominated industry? EN: I wish I knew the answer to this but I think technology is a male-dominated industry partially due to the lack of information and exposure to the tech industry in high school and university. Personally I didn’t pursue a career in tech during university solely because I wasn’t educated on what computer science entailed and what kinds of jobs could come out of having such a degree. I think it could also be due to women being intimidated of jumping into a male dominated culture and being misinformed as to how incredible and rewarding it is to work in tech and be able to build things. SM: Do you think the lack of females in tech is part of bigger problem seen in most other industries? EN: Absolutely, but then again I see the flip side where there are problems with men not being a part of women-dominated industries as well. I think it’s important to try work towards finding that balance. I think the education for careers in STEM (science, technology, engineering and math) should begin as early as grade school to spark the interest. Having a technical skill-set is in high demand. I think the lack of recognized female role models could also be a part of the problem but there are tons of groups popping up (Girl Develop It, Skillcrush, Girls Who Code, Ladies Learning Code) that provide an open learning experience that teach technical skills – usually taught by women. Instead of the focus being on highlighting the differences in the tech industry – the change is going to come when we take action and actually do something about it. SM: Do you think these young girls represent a new, larger generation of girls entering into computing and technology (and other previously “masculine” industries)? EN: Definitely. Being in a learning environment with young girls is an experience I find I have a hard time articulating. Using the word inspiring doesn’t even do it justice. These girls are so incredibly intelligent, learn at an incredible pace and their brains are wired in a way that I can’t even wrap my head around. They ask the most interesting questions and are so passionate about technology and how they can use it to solve problems, it really blows my mind. If these girls are the future CTO’s and CEO’s of companies (which I know they will be) I am so excited for what the future holds for the technology industry. SM: Enter social media. Do you think this changes the industry and the stigma? EN: Similar to other industries that have been shaped by social media, the tech industry is in the same boat. The power of social to be that megaphone and to shine light on content supporting equality is a powerful thing. The more awareness the better and social media is a powerful force for getting the word out there. Thank you Emma and Ladies Learning Code! While programs like Ladies Learning Code educate our youth and help strip gender stereotypes, how do we solve the problem for other generations? 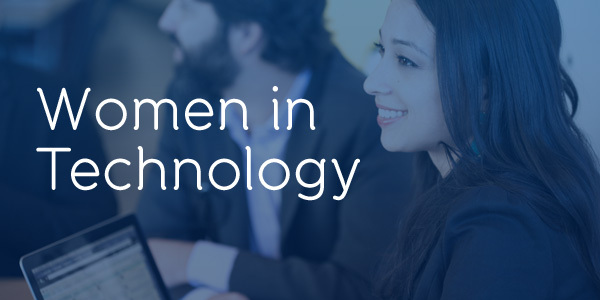 In Part 3, “Women in Technology – Paving the Way in Social” we’ll look at women in the technology industry who have “made it” and are paving the way as leaders and mentors for generations to come (and why it’s imperative that these leaders exist). And last but certainly not least, in Part 4 “The Power and Influence of Women in Social Media” we will take a closer look at women (and moms) who are dominating and being empowered by social media, in their day-to-day work and lives. Stay tuned! Did you miss Part 1? Get caught up now.